We've heard from Frank Vincent's Sally Sno-Cones. We've heard from Marky Ramone's Cole Edwards. Now, Brea Grant's Summer Rhoades gets a chance to tell her backstory in the latest issue of Alan Robert's Killogy. 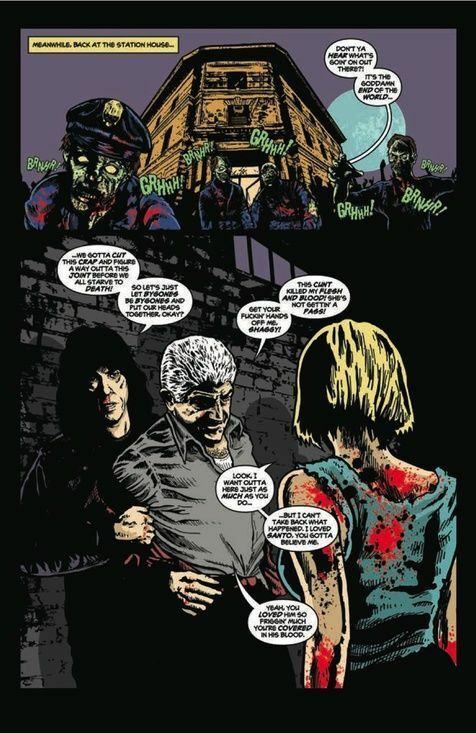 Summer revealed that she has a connection to her cellmates in the previous issue. It turns out that she killed Sally's nephew Santo, but despite the fact that she's covered in his blood, she claims it wasn't her fault. Summer explains how she came into possession of the strange ring that Cole had snagged from an old mobster's apartment. Chaos followed and with it, the dead rose. Now the three of them are stuck in a prison cell with zombies reaching through the bars. What to do next? And how does this unlikely trio put a stop to all this? Creator Alan Robert has built a story that continues to drag me in with each page. He's slowly revealing pieces of each character's history and showing how they're linked together. 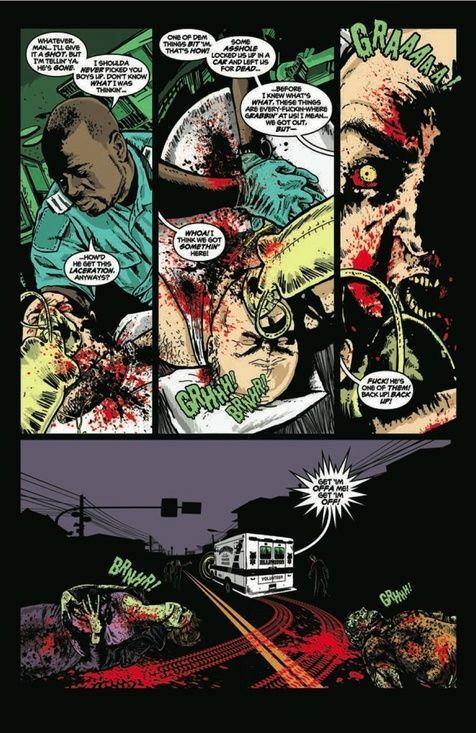 Each of them is partially responsible for the zombie outbreak, but it was only their combined actions that led to it. 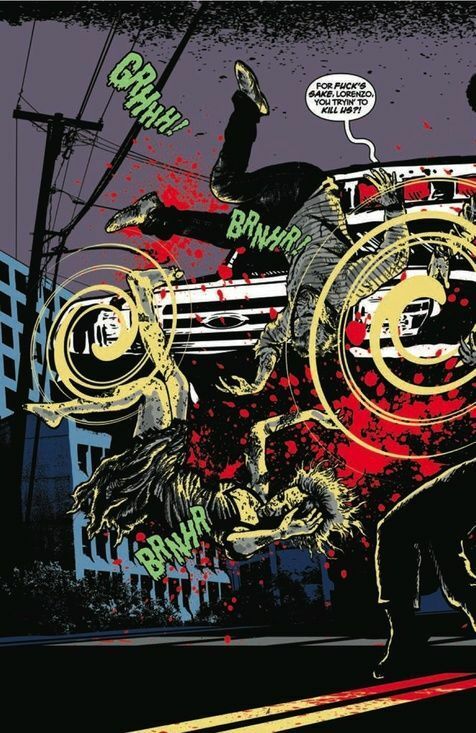 These connections make Killogy a comic that requires a second or third read to fully appreciate all of the little details. Normally, I'd be annoyed at something like this, but this book definitely gets better with subsequent readings. This also helps as the comic is released bi-monthly, so re-reading the previous issues beforehand helps a great deal. 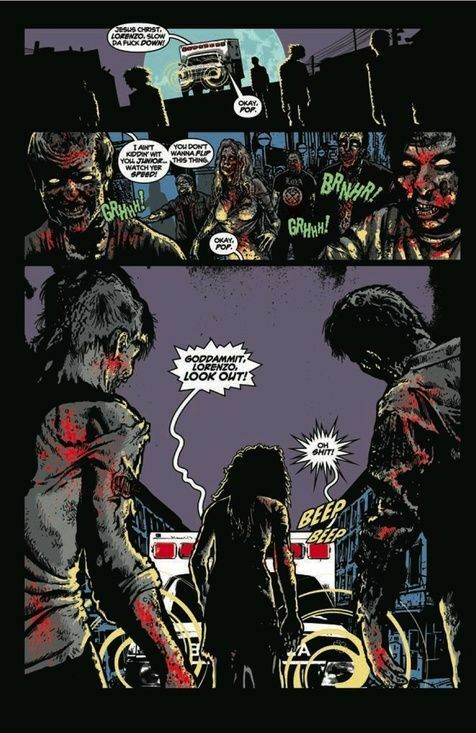 Killogy also puts a unique spin on the zombie genre in that Robert is explaining exactly how the dead have risen. These stories usually jump right into the action but never answer the question of how it started. It's great to see or read about society falling and people tearing through the undead, but sometimes you really just want to know why this is happening in the first place. The explanation that Robert has provided is valid and specific. In fact, Cole outlines it step by step at the tail end of this issue in a nice recap, putting all of the pieces together to show how these three characters ultimately caused the deaths and undeaths of countless people. Robert's artwork continues to impress in Killogy. He employs several double page spreads throughout the book, but it's not just for a big flashy image. Every piece of the page is used to enhance the story. There's one spread that really popped out, showing the moment that Summer first puts on the ring, unlocking the secrets of a voodoo witch that was burned alive. Summer is shown in the center of the image with her hands held at shoulder level. Flashbacks from the voodoo witch shoot from her hands and head, showing skulls, zombies, and fire. Meanwhile, shadows of the undead emit from her sides. Summer has been presented as a little off her rocker throughout Killogy. When the power of the ring takes hold of her, purple glitter surrounds her. This is what a crazy person would see. Unfortunately for her boyfriend Santo, this glitter can kill. This juxtaposition of a bloody murder with sparkly rhinestones that would probably be found in My Little Pony poop makes the scene even more unsettling. 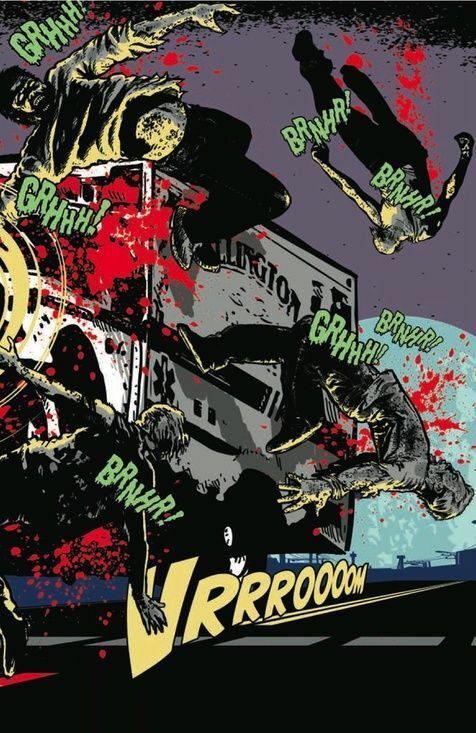 In a world where zombies are becoming old and tired, Alan Robert comes in with Killogy and breathes new life into the genre. He doesn't depend on cheap scares or needless undead violence. Instead he's created a great story and backed it up with some dynamite art. And he's not done yet. 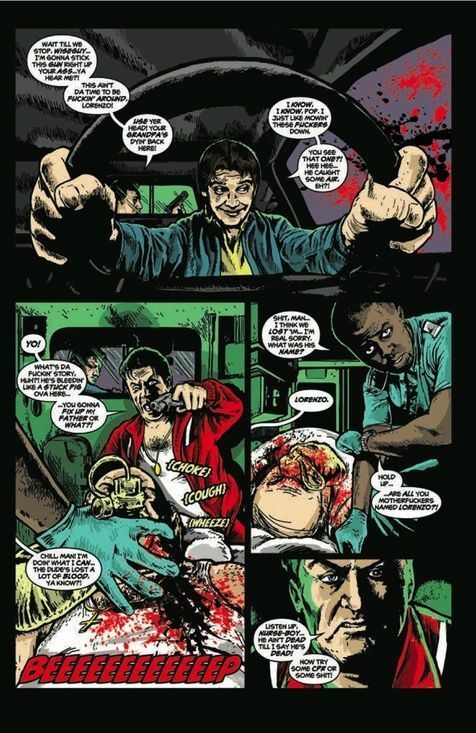 This is the penultimate issue of Killogy. The next issue wraps everything up and I can't wait to check it out.